If you are a dog owner or even if you are planning to get one in near future, have a look at these 10 must-have dog accessories that each and every dog surely should have. Caring for a dog is like caring for your own child and this is something that all dog owners would agree to. It is not something that you should take lightly. Check out the following list. This is a very useful accessory that ensures your pet is safe and this is also important training equipment. Whether it’s a puppy or a big dog, a leash ensures that it does not run away when you take it out. Bowls for puppies and dogs come in various shapes and sizes. You can choose one that you like the best. Bowls made from stainless steel and ceramic are more popular as puppies cannot chew them. Puppy bowls should not be very big in size as your puppy would face difficulty in eating and drinking from one of these. Depending on the age of your dog, this is yet another thing that is absolutely must and more so, when you are working and you do not time to cook meals for your beloved dog. There is nothing like homemade food, but it is important that your dog eats a balanced diet and that is meeting its daily requirements of calories and nutrients. Having a packet of dog food helps and there is no harm in giving it this at least once a day. 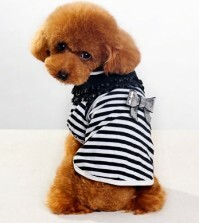 If you want to save your beloved pup from the cold and the chilly winter winds, make sure that you get one of these. These are available in various sizes and colors and you can choose one based on your needs. You can even make one if you want, but make sure that it fits your dog and keeps it warm. These are available in almost all pet shops and not very expensive. This is a very important accessory that you need to buy for your dog. It is important that your dog knows that there is a fixed place for him to sleep and relax. There are colored dog beds available and these are really comfortable. These are important if you are training your dog as they are always eager to get treats for something good that they have done and for their good behavior. There are a number of pet grooming products available and while all are not mandatory, a good shampoo, hairbrush, cotton balls and ear cleaning solutions should definitely be there. Crates are useful when you have plans to travel with your dog and also helpful when you need to take him to the vet. Pups tend to chew anything and everything and hence, chew toys are a necessity. Identification tags and microchips are the two options you have and both are good. 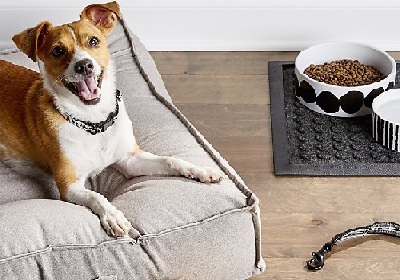 These are the 10 must-have dog accessories that each and every dog owner possesses to give their dogs a life full of comfort.